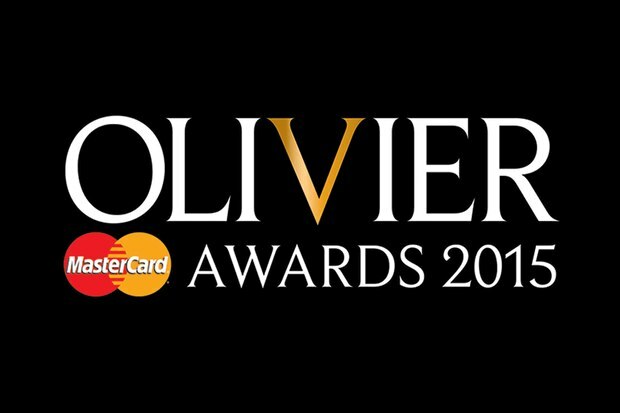 Olivier Awards 2015 – Winners Announced! The Olivier Awards is a strange awards ceremony. As a celebration of theatre, rather than film or television, it’s the one for which I am able to form a better view of who I think should win and who I think should have been nominated. Then again, although it’s the most prestigious theatre awards in the UK, it doesn’t cover national theatre, or even all London theatre. To be eligible for the Olivier Awards, a show has to be on for at least 30 performances in London, but at either a SOLT (Society of London Theatre) theatre or an “affiliate theatre”. As it’s always hard to know which theatres are included in the list for consideration, it’s therefore always hard to know what has been snubbed, or what was simply ineligible! I personally still think there needs to be a ceremony for theatre like the BAFTAs for film and television – one that covers all British theatre, but that’s a fantasy I know will almost certainly never happen. Grumblings aside, anything celebrating theatre on television is guaranteed to get me excited and I was thrilled to be able to see the highlights of this year’s ceremony on ITV, albeit on so late that I already knew all the winners! From the highlights show this evening, it looked to be a wonderful celebration of London’s status as the greatest city for theatre in the world and the musical numbers were lovely to see. As someone who missed out on seeing her as Grizabella in Cats this year, I thought Nicole Scherzinger was fantastic singing Memory and medleys from Beautiful and Sunny Afternoon were fun too. I was very disappointed that the performance by the City of Angels cast was cut from the televised show, but we did at least get to see Kevin Spacey bring the house down with his rendition of Bridge Over Troubled Water with Beverly Knight. 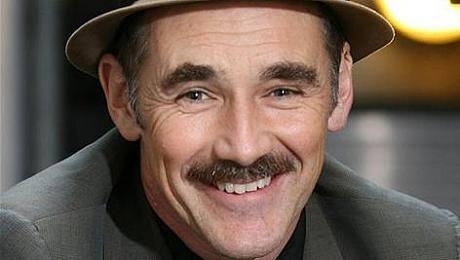 I certainly hope the stages of London won’t be without him for long after he leaves the Old Vic. 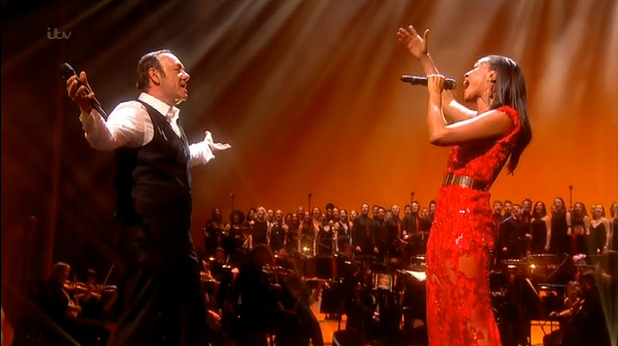 Kevin Spacey & Beverley Knight close the ceremony with a bang! As for the awards themselves were there any surprises? Perhaps a couple and of course such awards will always be subjective, with a clear winner for some not the same for others. With that in mind, my thoughts are based on the shows and performances from the last year that I loved and felt deserved to win. Best New Play = King Charles III – I’m thrilled that Mike Bartlett’s superb new play about the Royal Family post Queen Elizabeth II was awarded Best New Play. 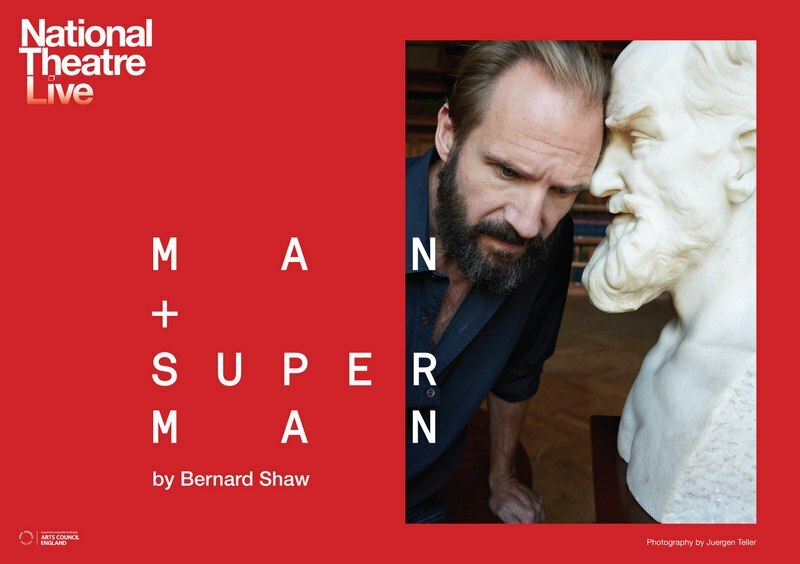 Without a doubt it was my favourite production last year, one which had me leaving the theatre, after just its second preview, knowing I’d seen something truly exciting and different (you can read my full thoughts on the play here). Best New Comedy = The Play That Went Wrong – Perhaps a surprise winner is that of best new comedy, with The Play That Went Wrong beating two shows that perhaps were given a higher profile, Handbagged and Shakespeare In Love. It’s a play I’ve been meaning to see and I’m sure I’m not the only one who has now been reminded that they must book a ticket while it’s still running! Outstanding Achievement in an Affiliate Theatre = Bull – Of the four nominees in this category (one which I’m not hugely clear about whom is eligible! ), I’d only seen Bull so I’m pleased Mike Bartlett picked up his second award of the night for this production. 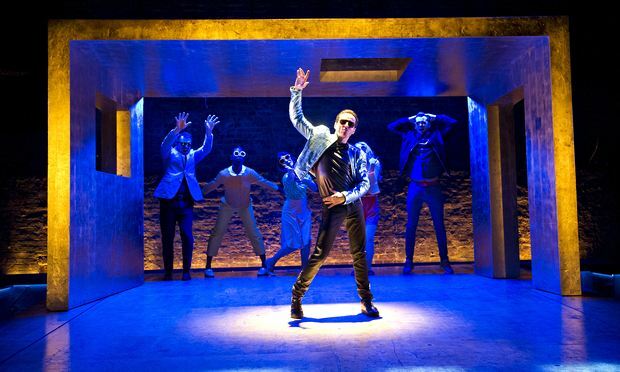 I saw its premiere in Sheffield and also its London transfer to the Young Vic (which is on a roll for productions these days). 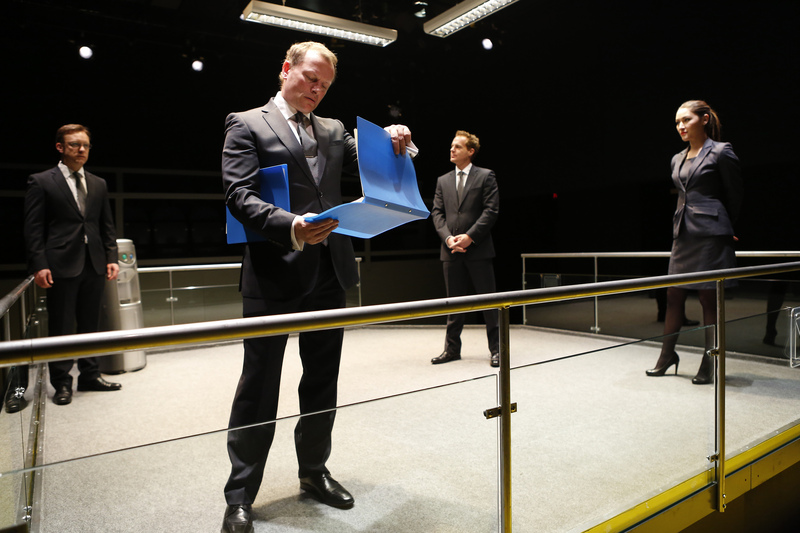 It may only have been 50 minutes long, but it’s a play filled with powerful and uncomfortable performances, highlighting the very worst in office politics and certainly deserved this recognition (you can read my full review here). 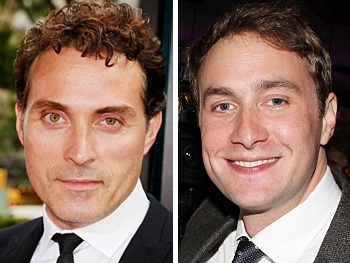 Best Actor = Mark Strong (A View From The Bridge) – For me this was the toughest set of nominees, while still missing out the brilliant Ben Miles for Wolf Hall & Bring Up The Bodies, whose performance of Thomas Cromwell should have been nominated. All four performances were outstanding and among some of the finest I’ve seen to date on stage. 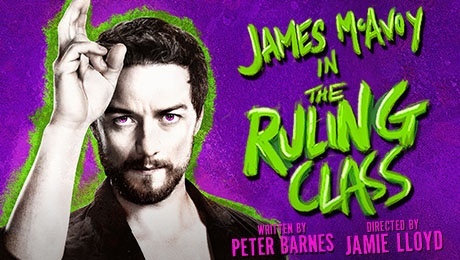 I was torn between James McAvoy’s incredible turn in The Ruling Class (you can read my full review here) and Mark Strong (with Richard Armitage close behind for The Crucible!) and so I’m happy that one of them was successful. 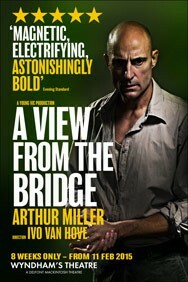 A View From The Bridge was a production of the highest quality and his performance was breathtaking. If there is another chance to see an NT:Live Encore cinema screening of it – go! Best Actress = Penelope Wilton (Taken At Midnight) – I have to admit that this was one of the surprises of the night for me, on top of the surprising fact that Helen McCrory was not nominated for Medea. I did not see Penelope Wilton in this role, but I am genuinely amazed that the award did not recognise Gillian Anderson for A Streetcar Named Desire or Kristin Scott Thomas for Electra, both of which demonstrated just how important strong, powerful roles are for women on stage. Had I been voting, I’d have picked Gillian. Yes, I’m an X-File / long-term Gillian fan, but that’s not the main reason. Personally, hers was the performance which left me at the end feeling emotionally exhausted and buzzing the way only a truly fantastic night at the theatre can make me. She gave everything in to the role of Blanche. Perhaps she’ll have better luck at the Tony Awards after the show appears on Broadway next year. Actor in a Supporting Role = Nathaniel Parker (Wolf Hall & Bring Up The Bodies) – Nathaniel’s interpretation of King Henry VIII in Wolf Hall / Bring Up The Bodies was very good and a worthy winner. 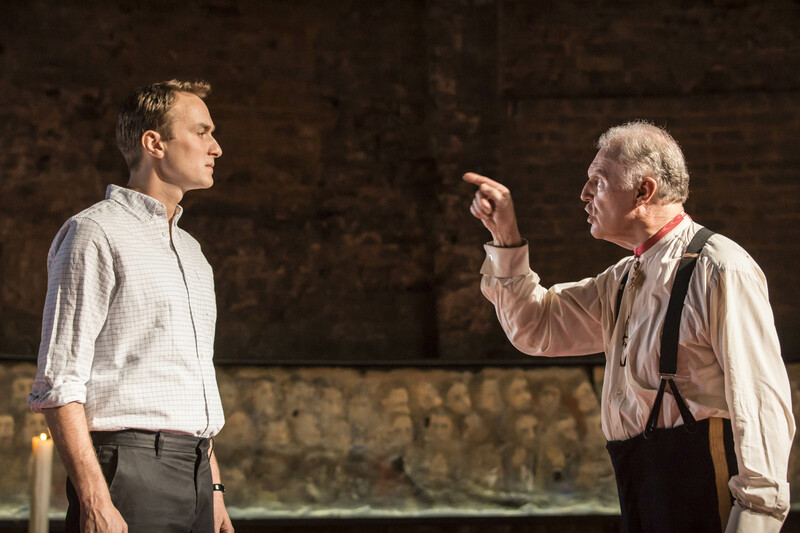 However, I think my vote would have gone to Richard Goulding, whose performance as Prince Harry grew in depth and quality over the course of the run of King Charles III, resulting in a believable and multi-layered character, with whom you felt true sympathy by the end of the play. Actress in a Supporting Role = Angela Lansbury (Blithe Spirit) – It seemed a foregone conclusion to me that Angela Lansbury would win in her category. She is 89 years old, performing 8 shows a week in a London run and has never won an Olivier before. They couldn’t not give it to her! She was wonderful in Blithe Spirit, entertaining and full of fun and with a clear love of her job, but she wasn’t the best of the nominees in my opinion. All four nominees were excellent, whether the chillingly disturbing girls in The Nether or Phoebe Fox in A View From The Bridge. However, I would have loved to have seen Lydia Wilson win for her role as Kate in King Charles III, a performance which was full of confidence and charisma and stood out in a production filled with cracking performances. Her Kate Lady Macbeth-style power behind the man performance was wonderful to watch and I’ll certainly expect to see her nominated more at these awards in the future. 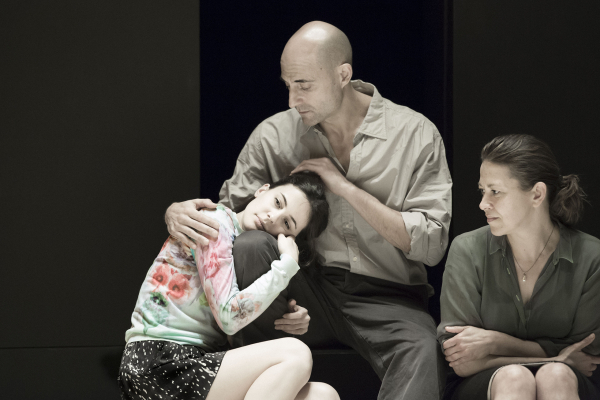 Best Director = Ivo Van Hove (A View From The Bridge) – The director shortlist was another incredibly tough choice, with all four helping bring to the stage some of the best theatre of the year. I was lucky enough to see all four productions and I’m not sure I’d have been able to choose a clear winner, or would have changed my mind as soon as I’d voted! 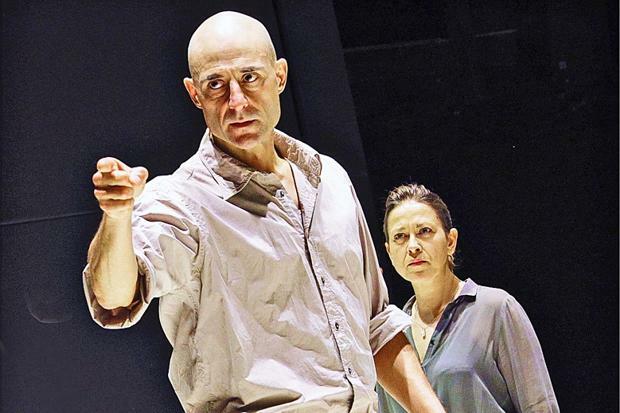 I’m not surprised that Ivo Van Hove took the award though, as his claustrophobic, stark vision of Arthur Miller’s classic received glowing reviews from audiences and critics alike and through it he was able to generate some truly breathtakingly powerful performances. Best Lighting Design = City of Angels – A thoroughly deserved win for Josie Rourke’s Donmar revival. 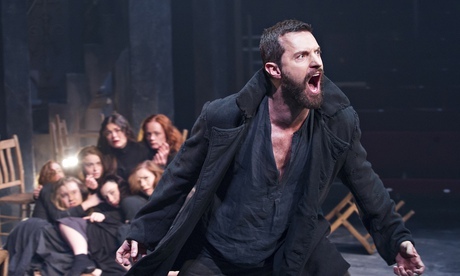 All four productions were worthy nominees, as the lightning of each certainly added to the drama and quality of each one, creating such unique atmospheres, whether the candlelit Almeida, the Tudor halls of Wolf Hall or the stark atmospheric mood of A View From The Bridge. However, City of Angels would not have been the show it was without Howard Harrison’s lighting, creating the glitz and colour of one world, compared to the black and white of the other. 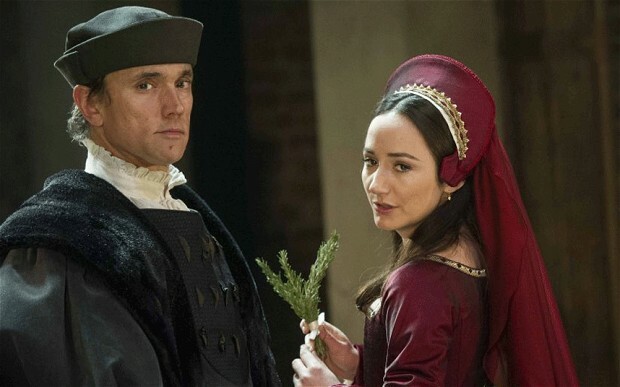 Best Costume Design = Wolf Hall & Bring Up The Bodies – As a regular visitor to the Royal Shakespeare Company, I’m so pleased that its brilliant and dedicated costume team won for their contribution to the adaptation of Hilary Mantel’s award-winning books. The costumes certainly helped bring Tudor history to life in sumptuous, beautiful detail and I can’t think of a better choice from this shortlist. Best Set Design = The Nether – Until a few weeks ago my choice for this category would have likely been City of Angels. However, that was before I saw the Royal Court’s production of The Nether, currently playing in the West End. 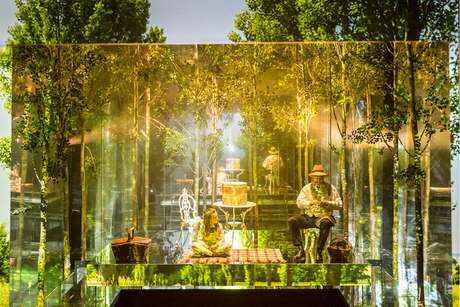 It is without a doubt one of the most unique and impressive sets I have ever seen and one which had an incredibly difficult task, bringing the virtual world and the real world together so convincingly. Each time we, as an audience, enter The Nether you genuinely believed you were entering another realm. The combination of set and video graphics were perfect and it would have been a crime had it not won. I didn’t see most of the nominated musicals so it would be unfair for me to comment on the winners and losers in most of these categories, with the exception of the revival and audience award. I must try and see the Hampstead Theatre’s Sunny Afternoon (currently in the West End), which took best new musical, best actor and supporting actor in a musical. The night has also fuelled my intention to finally buy a ticket for Beautiful – The Carole King Musical (winner of best actress and supporting actress in a musical) and I’m thrilled for Katie Brayben, who was fantastic in both American Psycho and her smaller roles in King Charles III. 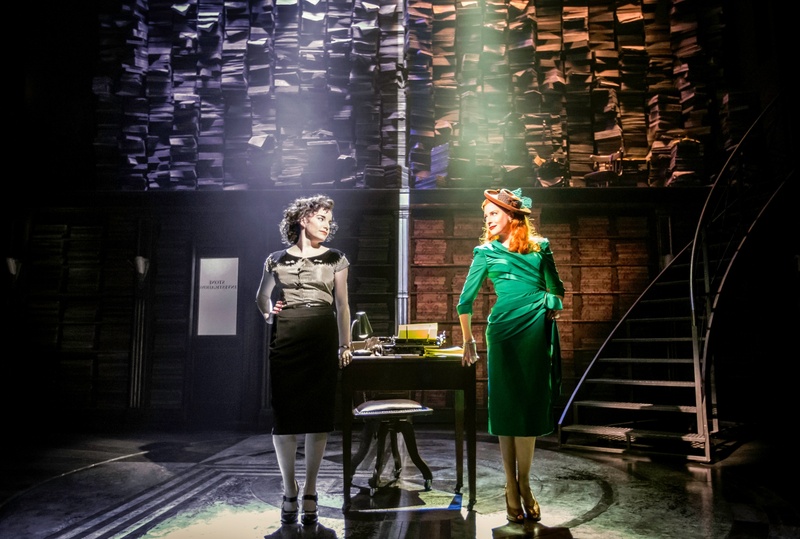 Best Musical Revival = City of Angels – First of all, I still think it’s criminal that none of the actors in this Donmar production were nominated in either main or supporting musical categories! This is already one of the highlights of this year’s theatregoing calendar for me – wonderful songs, incredible sets and lighting, an engaging story and some truly excellent acting and vocal performances, from some of the finest talents in musical theatre. Due to these omissions, I’m thrilled the show won Best Musical Revival. Now, if only it could have a West End transfer too! This Morning Audience Award = Wicked – Akin to the Radio Times Audience Award at the TV BAFTAs, this award is an opportunity for the public to vote for its favourite musical (why it can’t also include plays I do not know). 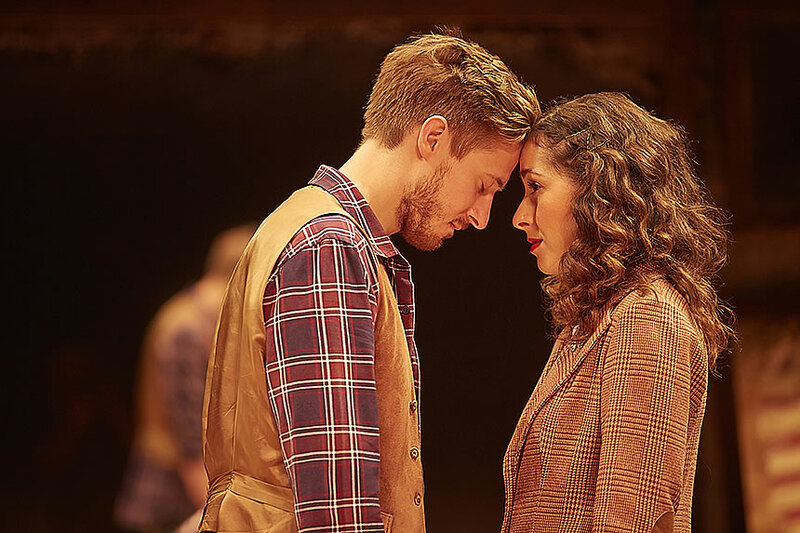 Musicals of course attract loyal fans, who go to see them again and again and these awards are a chance for them to show their support for such long-running shows. Of the shortlisted four, my vote went to Matilda, a musical I hoped would go on to greater success after I first saw it one snowy Saturday afternoon in Stratford-Upon-Avon in 2010, but I’m not surprised Wicked won, as it probably has the strongest fan base of the four nominees. With already some strong performances and productions hitting the stage in 2015, I’m sure the Olivier Awards will continue to generate discussion and debate when next year’s nominations are announced. One thing that isn’t in debate however is that we should all be very proud of the level of quality found in the theatres of London, but also around the rest of the country. Maybe one day my wish for an all-encompassing set of national theatre awards will become a reality. Posted on April 13, 2015 April 13, 2015 Categories TheatreTags A View From The Bridge, Bull, City of Angels, Gillian Anderson, Kevin Spacey, King Charles III, Mark Strong, Mike Bartlett, Olivier Awards 2015, The Nether, Theatre, Wolf HallLeave a comment on Olivier Awards 2015 – Winners Announced! 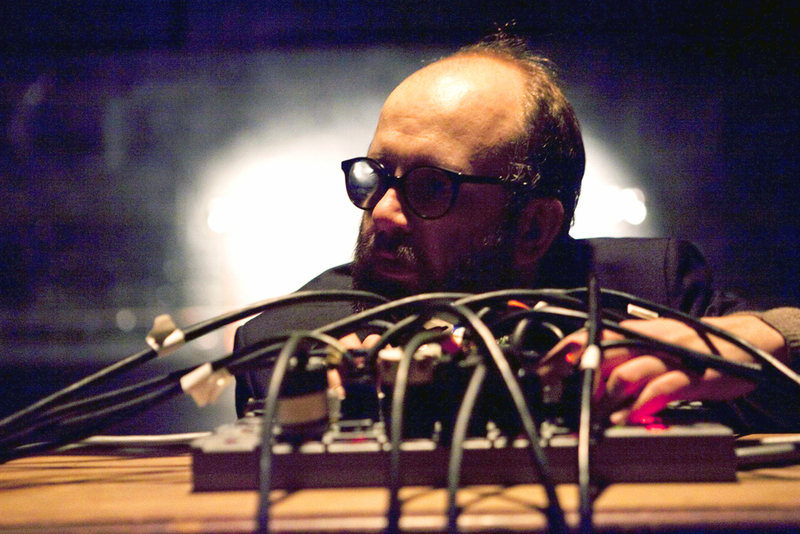 As my theatre going has increased over the last few years, one of the playwrights whose work has stood out has been Mike Bartlett, ever since Earthquakes In London in 2010 (more recently known through the success of his brilliant play King Charles III). 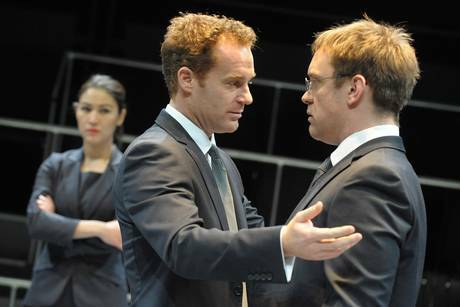 I was therefore not going to miss the premiere of his new play, Bull, in Sheffield in February 2013, especially as one of my favourite actors was in the cast! 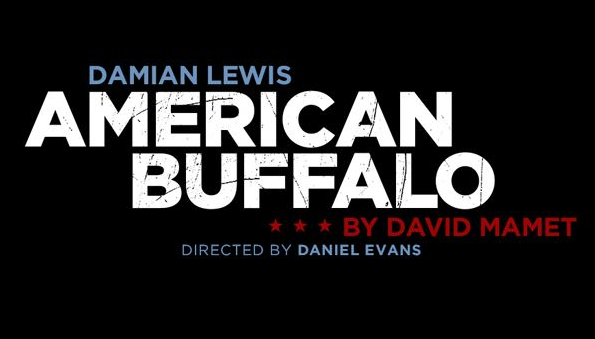 Bull became a highlight of my theatre year and following a run in New York in 2014, I had to see it again during its first London run at the Young Vic (a theatre on a roll at the moment). 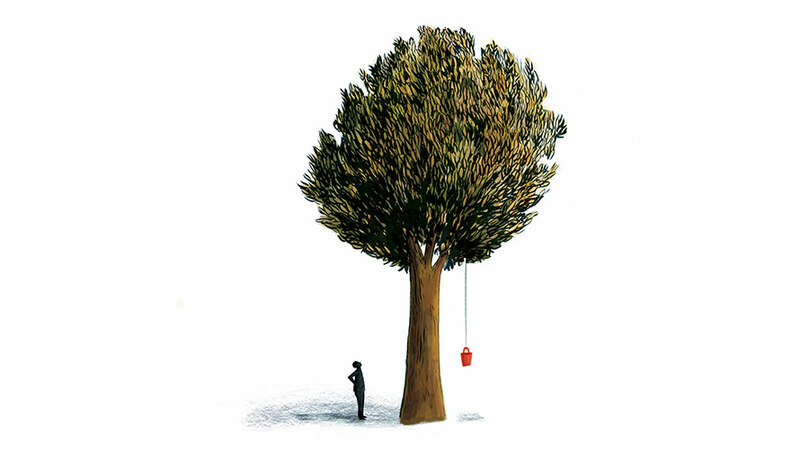 Little has changed since Sheffield and Bull remains a fantastic piece of theatre, which truly gets under your skin. Tony, Isabelle and Thomas are in a fight to keep their jobs in a time of cutbacks – one must go, the question is which one? Over the 50-55 minutes, we witness the cruel tormenting of Thomas by the other two and what’s most effective and also affecting about Bartlett’s writing here for me is how the discomfort builds for the audience. It all seems to be silly banter at first, but grows more and more uncomfortable, forcing you to think about where the line is between banter and bullying. The staging is perfectly designed for the play, as we see events unfold within a boxing ring-shaped office, enhancing the animalistic fight taking place, as the stronger turn on the weaker to survive. It was also wonderful to see the Young Vic’s Maria full, including the standing audience around the ringside itself, which certainly added to the atmosphere. 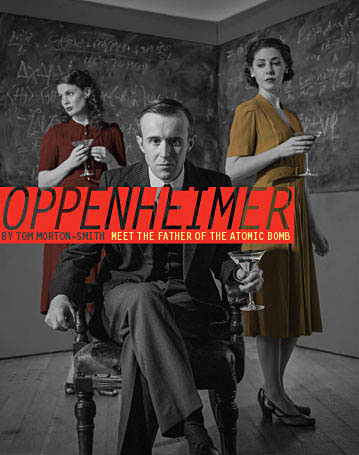 Having seen it before, it was interesting for me to observe other audience members and watch as their reactions / responses to the play altered as it unfolded, resulting in a much quieter room by the end, as you feel almost duplicitous with Tony and Isabelle simply by being there. The cast remains fantastic. Adam James (on my must see actor list since Blood and Gifts in 2010) plays Tony so well – charming yet devious, playful yet cruel, as he has his fun at the expense of Thomas. The sad truth is you know people like him really do exist! Eleanor Matsuura has the tough task of playing a truly horrid character as Isabelle’s tormenting of Thomas intensifies. For me, it seemed all the more dreadful because she was a woman acting this way and their two-hander scene is a true highlight of the play. Sam Troughton, also reprising his role, is wonderful as Thomas and carries much of the emotional pull of the hour and by the end you really do feel sadness for him, as you imagine yourself in the same position. Neil Stuke’s role as their boss (replacing Adrian Lukis from the original cast) may be brief, but it still carries weight and is very believable. I imagine there are many bosses throughout the country (and the City in particular) who would share his attitude. 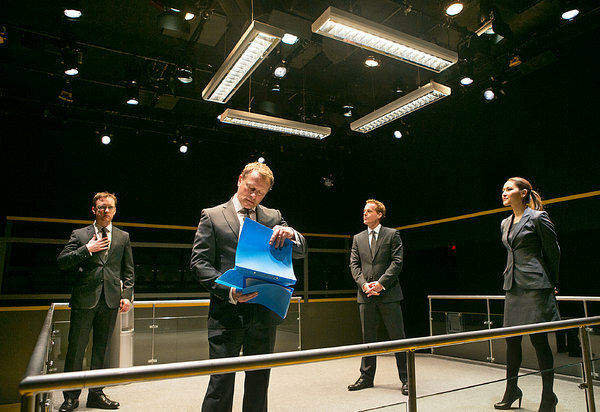 Bull is not an easy play to watch, but it remains a short but incredibly powerful piece of theatre. 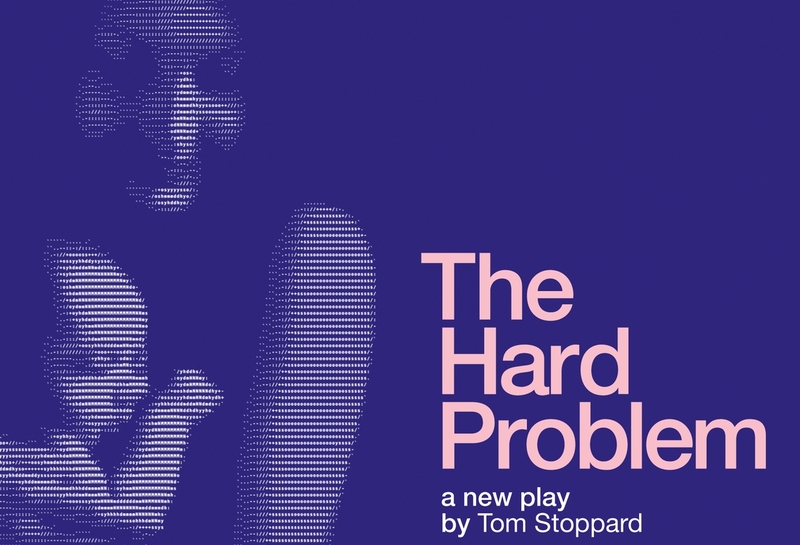 If you have an hour to spare and can get a ticket to see this at the Young Vic, then don’t hesitate. 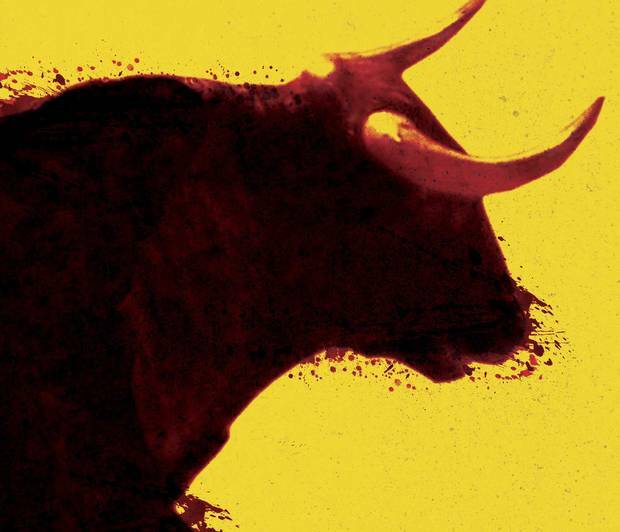 Bull continues its run at the Young Vic’s Maria theatre until 14th February 2015. 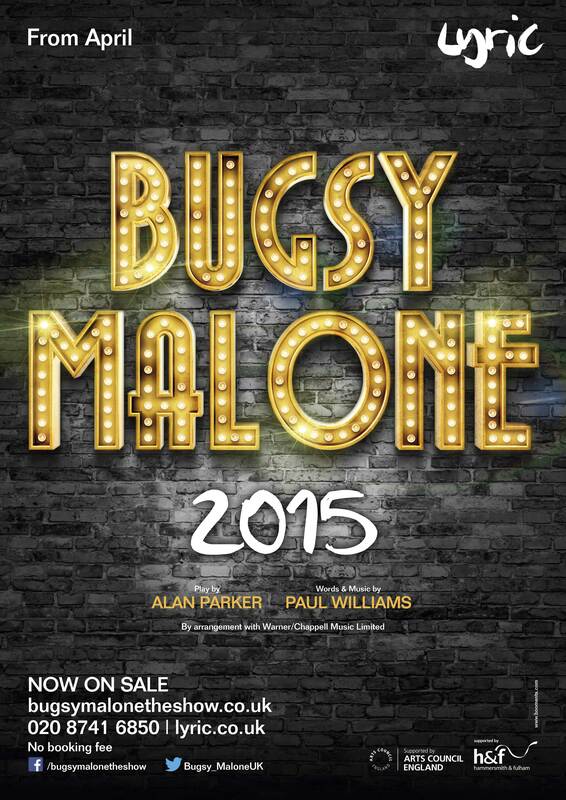 More information can be found here or by calling the box office for ticket availability on 020 7922 2922. 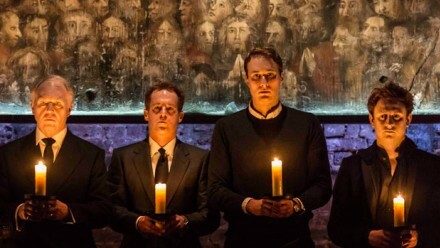 As his brilliant new future history play King Charles III (see my other post) rides high at the Almeida, another Mike Bartlett play premiered in London in the last few weeks at the Watford Palace Theatre (which has been co-produced by Paines Plough) and I managed to catch it before it closed on 3rd May. An Intervention is a two-hander between Rachel Stirling and John Hollingworth, which asks the audience, through different situations, to consider when is it right to intervene and when should we keep our opinions to ourselves. The first is military intervention through an unspecified war in the Middle East, which Stirling’s character (“A”) opposes but Hollingworth’s (“B”) feels is the best action to take morally, a stance which horrifies her. The others are of a more personal nature – should you speak up if your friend is with the wrong person? Should you intervene if you think your friend has an addiction, in this case A’s dependency on alcohol? 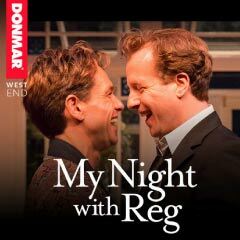 Staged like an old fashioned variety-style comedy act for the most part, the play is a funny, touching look at friendship. We have all certainly known friends who have at least some of A’s traits and Mike Bartlett presents scenarios we may all have been in in same form, for example, the uncomfortable first meeting with a friend after a row or if you can’t bear your friend’s partner and have to let them know or worry that your friend needs help but have no idea how to help them. The staging is simplistic – there is only a bare minimum of set/props used for each act (divided wonderfully by the actors carrying signs across the stage flagging the next chapter). This simplicity enables the focus to be on the performances, which were both excellent. Rachel Stirling in particular is incredibly impressive, dancing across the stage and talking at 1,000 miles an hour to convey her character’s manic, scatty, playful but also vulnerable personality. She is also quite physical in the role, using hand gestures and movements to exaggerate some of the moments (plus top marks for catching endless M&Ms in her mouth too)! Although a little irritating initially, her character’s wit, charm and vulnerability mean that as an audience you are drawn to her and root for her. John Hollingworth is also very very good and perhaps has the harder task as his character’s calmer and to some extent colder personality needs to carry the same weight in scenes as Stirling’s and he does this brilliantly. Although filled with playful moments, the play has a darker side, which is brought out as we see the more vulnerable side of A as it becomes clear her wild, flighty persona is a mask for the sadness she feels and her awareness of her alcohol problem. We also see just how important their friendship is to both of them. 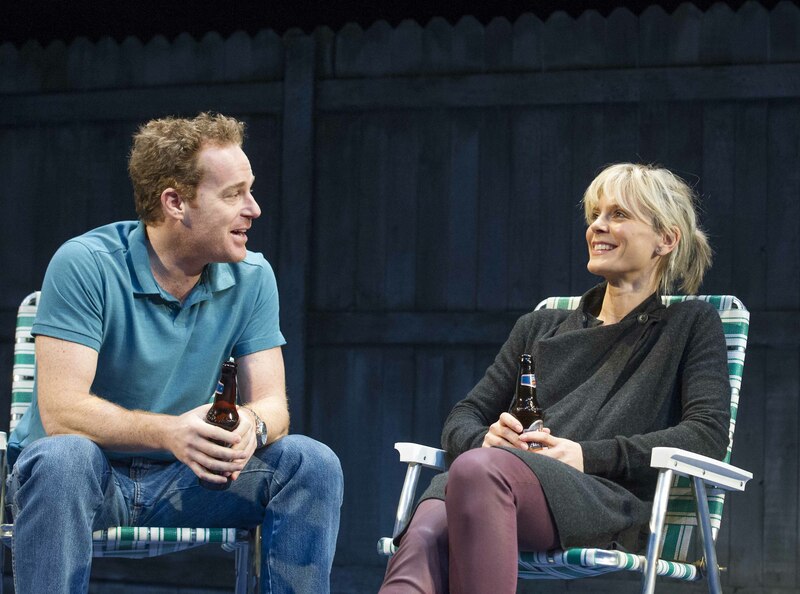 By the end of its 90 minute running time I found it to be an unexpectedly moving piece and the end was touching and superbly staged for full emotional effect on both a comedic and poignant level. 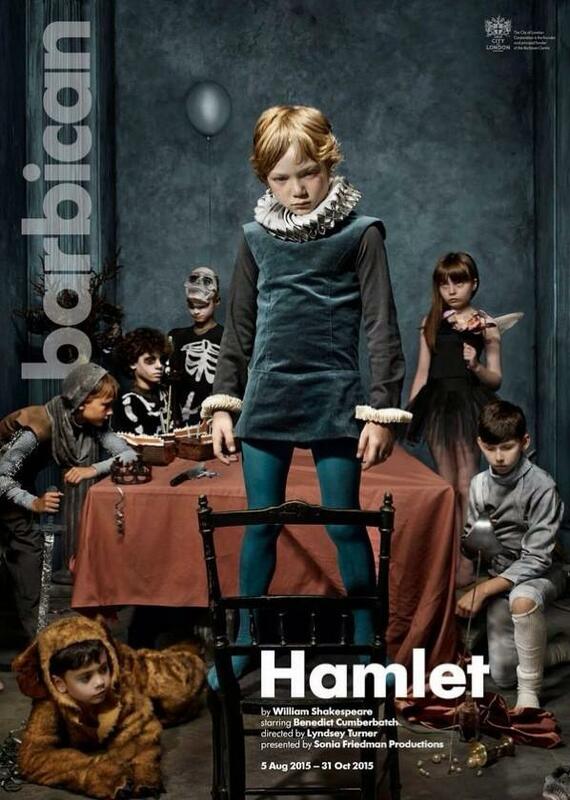 One of the things I enjoy most about Mike Bartlett as a playwright is his ability to convincingly create large scale theatre productions (such as Earthquakes In London) but also smaller, more intimate theatre as well (most recently Bull at the Sheffield Crucible). 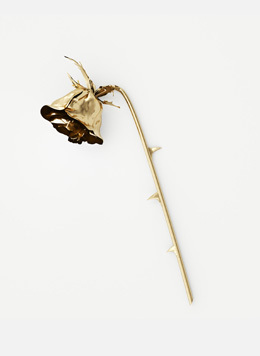 No matter which style, I always find them to have a powerful message , which leaves me with plenty to think about. 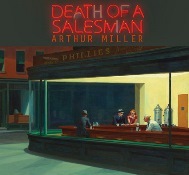 I certainly hope the play reaches a wider audience in the future and would certainly see it again.